A few months ago, I decided that buying furniture online would be an ideal way to refurnish my house. However, when the pieces started to arrive, I quickly realized that much of my older furniture had to go. At first, I planned to sell on Craigslist or run some eBay auctions, but in the end, I decided to donate the furniture to a local charity. If you donate your unwanted furniture to charity, you can deduct the donation from your taxes at the end of the year. This can add up to a sizable write-off, even if you do not have many pieces to donate. For each piece of furniture you donate, you can deduct the current fair market value from your taxes. 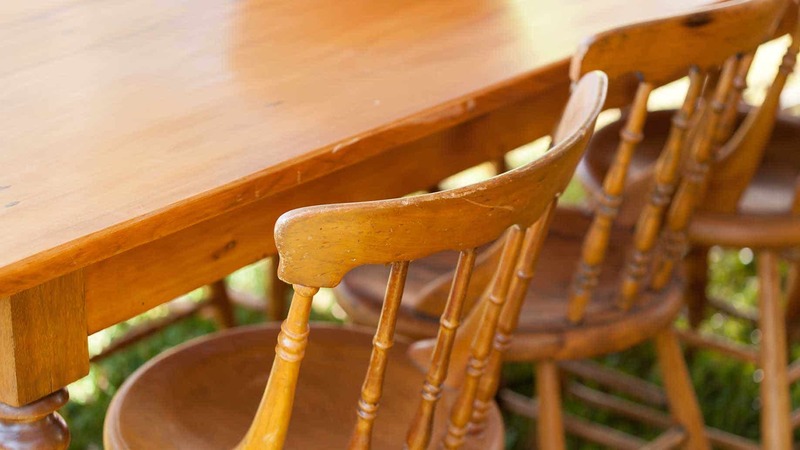 To make this process easier, the Salvation Army has a Donation Valuation Guide to help you determine the fair market value for your furniture. The guide has a low and high range for furnishings. Select fair and reasonable prices within this range to ensure the accuracy of your tax write-offs. Several national charities will pick up furniture donations from your house, or you can take your furniture to a smaller nonprofit organization in your area. Pro tip: Make sure you check out our top 7 options for free online tax preparation software and services. Each of these will be able to help you deduct the value of your donated furniture. National charitable organizations have several drop-off locations throughout the United States, and most are willing to pick up your furniture donations. Make sure you get a receipt for your donations. Without a receipt, you don’t have any way to prove that you donated the items, which is a potential problem if you are audited by the IRS. The NFBA provides much needed furniture to 100,000 struggling families each year across the U.S. and Canada. The NFBA has a list of local donation centers in the U.S., and many local centers can pick up donated furniture from your house. The organization accepts gently used furniture and some household goods. Items accepted for donation include children-sized and regular mattresses, couches, tables and chairs as well as dishes, pots and pans, and silverware. The Vietnam Veterans of America (VVA) charity sells donated items to fund their programs for veterans. The charity accepts furniture and other household items, and also picks up donations from your house. You do not have to be present when the truck arrives to pick up your donations. You can schedule a pick up through the VVA donation site. Donation Town maintains a database of local charities that pick up unwanted furniture for free. The site lists a few hundred different charities, and can provide you with information about local nonprofit organizations that accept and collect donated furniture. You can schedule a pickup through the Donation Town website. Goodwill has locations all over the U.S. The Goodwill charity helps low-income and unemployed heads of household find full-time work. In addition, Goodwill also provides work training assistance, homeless shelters, and other temporary assistance to impoverished families. The charitable organization accepts used furniture and other household items. Donated items go to fund their resale store, and the proceeds benefit the Goodwill charity. You can use the Goodwill Locator to find a drop-off center near you. Some Goodwill stores also pick up donated furniture. Most donations to the Salvation Army go to stock the Salvation Army resale stores, but the charity also uses the furniture donations to furnish their homeless shelters. The Salvation Army accepts used furniture in good condition. You can locate a drop-off center on the Salvation Army website. You can find local charities in your area that need furniture donations. Before you donate, contact a volunteer or representative at the charity to see if they offer receipts for tax purposes. While donating locally can help people in your neighborhood, make sure you donate to a nonprofit if you want the tax break. Many homeless shelters and missions operate as independent charities, especially in urban areas that have a large homeless or at-risk population. These organizations provide shelter and meals to struggling families and accept donations including beds, couches, tables, and other small odds and ends. The United Way can provide you with a list of local homeless shelters in your area. Battered women’s shelters help victims of abuse and their children by providing them with a safe place to stay while they begin to rebuild their lives. Many of these organizations accept donations of used furniture and household items in good condition. Search your local newspaper’s website or online to find battered women’s shelters in your area. Many local thrift stores accept gently used furniture donations for resale. Many thrift stores donate a portion of their proceeds to charity, and donations to nonprofit thrift stores are tax deductible. Use caution when donating items to thrift stores, however. 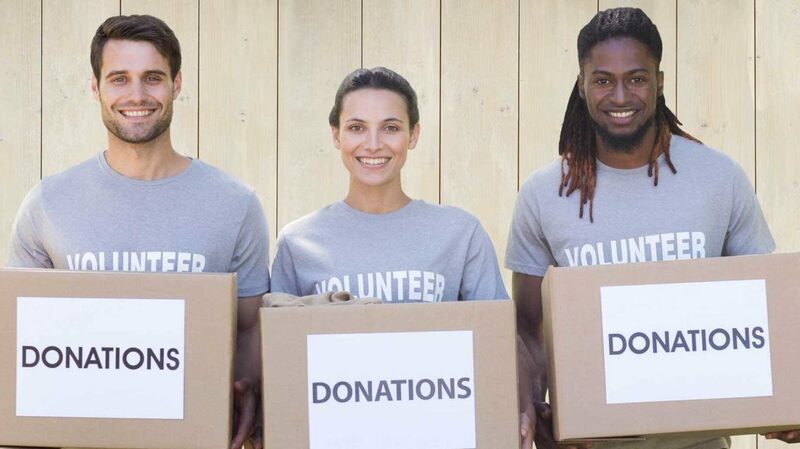 Many are not nonprofit organizations, so double check with a manager before you donate. Amateur theater groups often need furniture donations to build sets. Occasionally, they accept extremely beat-up furniture, or furniture you cannot donate anywhere else. You can find a local theater group by visiting your city’s website. City websites usually have an entertainment section that lists local theater groups. You can also contact theater departments at local high schools or colleges. Freecycle is not a charity organization. Users join the site and post ads for anything they want to give away, including furniture. Other users can browse the ads and schedule a time to pick up the items they want. You won’t get a tax break by using Freecycle, but you can help some needy families in your neighborhood. FreeSharing works similarly to Freecycle. You must sign up for the site, and then you can post or browse ads for a wide variety of free items. Although Freeshare isn’t as popular as Freecycle, the website has more than 400,000 members. You can receive a tax deduction at the end of the year when you donate good quality furniture, books, clothes, electronics, and other household items to a nonprofit organization. The IRS publication Determining the Value of Donated Property provides extensive details about the guidelines for donating furniture and household goods. When you donate furniture, ask for receipts and be sure to retain them. If you have to participate in an IRS tax audit, you may need to produce receipts for donated items. Have you donated furniture before? Which organizations did you give to?